Julene Marie White was born in Edmonton, Alberta at the Royal Alexandra Hospital on March 2, 1990. She passed away on Tuesday, November 27, 2018 surrounded by her loving family; despite the valiant efforts of the ICU Staff at the Red Deer Regional Hospital Centre. Julene was raised in the community of Consort, Alberta and attended Consort School for all of her years of education, with her amazing Class of 2009. Julene was able to stay at home for her twenty-eight years of life, under the loving care of her parents, Miles and Charlene White. She enjoyed spending time with her two sisters, Danielle and Amarie; watching many movies, colouring, reading stories, and listening to music. Julene loved to swim and go fast; whether it was sea-dooing, skidooing, or driving around in dad’s truck rocking out to their favorite oldies. A great supporter of community events, and her two sisters’ numerous sports teams, she was a great cheerleader for all. Some of her true companions where her kitty, Ori, and dogs (the latest and greatest being Pepper), always asking “where is she,” or patting her leg and making kissy noises for them to come to her. Julene had many great days, and just as many bad. Hence the “little bear,” nickname that dad gave her when she was grouchy. Visiting friends, dancing, flirting, and just spending time with her family were a big highlight of her life. Julene’s big heart, her radiating sense of humor, and sunny infectious smile made all the difference in our world. 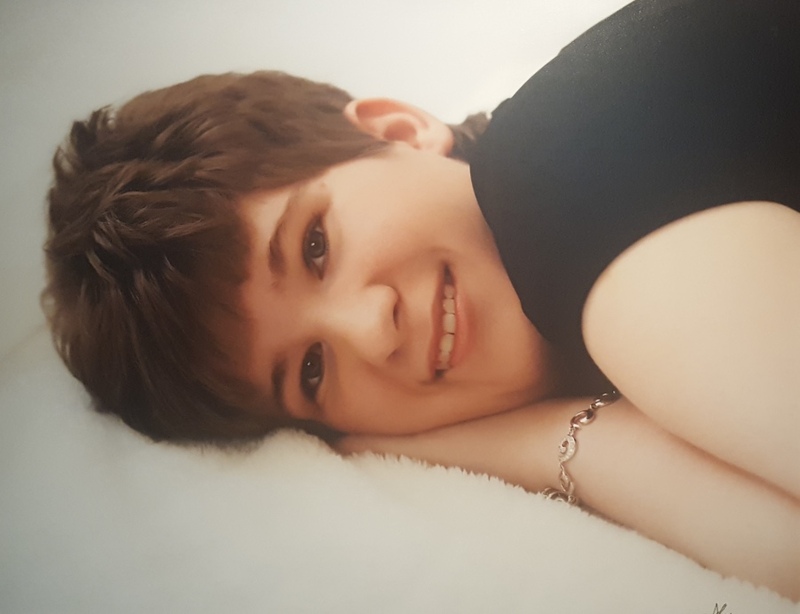 Julene will be lovingly remembered by her parents, Miles and Charlene White of Consort, her sisters, Danielle White and Amarie Usselman, her brother-in-law, Tyler; as well as numerous other loving family and dear friends. Julene was predeceased by her grandparents, Bob and Joyce White, her uncle, Alan Schetzsle, and a cousin, Jacob Simpson. Relatives and friends are invited to pay their respects at Corpus Christi Catholic Church, Consort, Alberta on Monday, December 3, 2018 from 11:00 a.m. to 12: 45 p.m. Funeral Mass will be celebrated at Corpus Christi Catholic Church, Consort, Alberta on Monday, December 3, 2018 at 1:00 p.m. with The Reverend Father Jean-Claude Ndanga Celebrant. Interment will follow at the Saint Andrew Catholic Cemetery, Consort, Alberta. If desired, Memorial Donations in Julene's honor may be made directly to the Consort Community Pool Association, Box 532, Consort, Alberta, T0C 1B0 or to S.T.A.R.S. at www.stars.ca. Condolences may be sent or viewed at www.coronationfuneralhome.ca. Arrangements in care of Coronation Funeral Home, Coronation, Alberta. Phone: 403.578.2928.